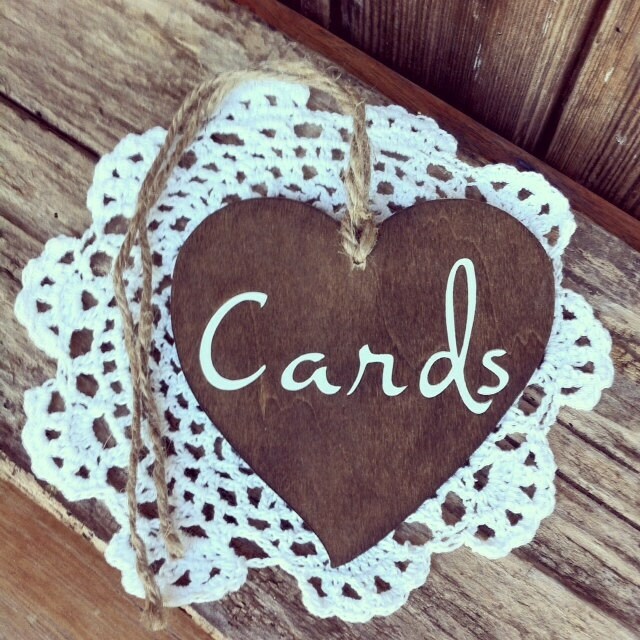 This listing is for the above rustic wood heart shaped 'Cards' sign with jute twine. 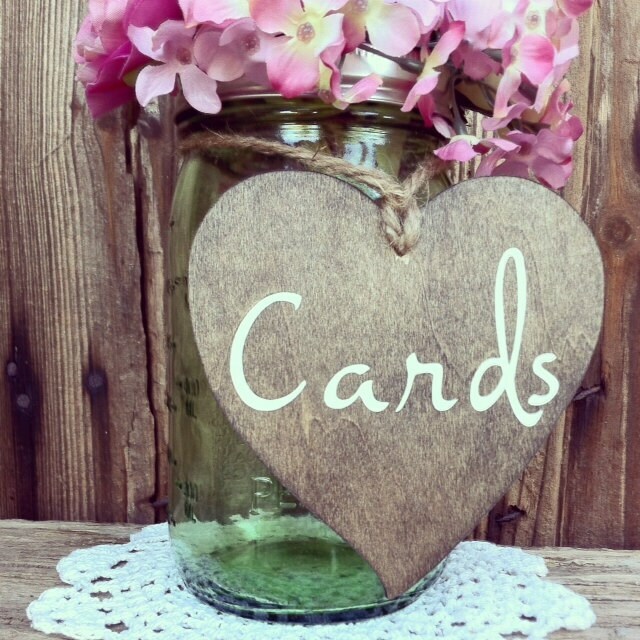 Featuring a dark walnut stain and white vinyl lettering. 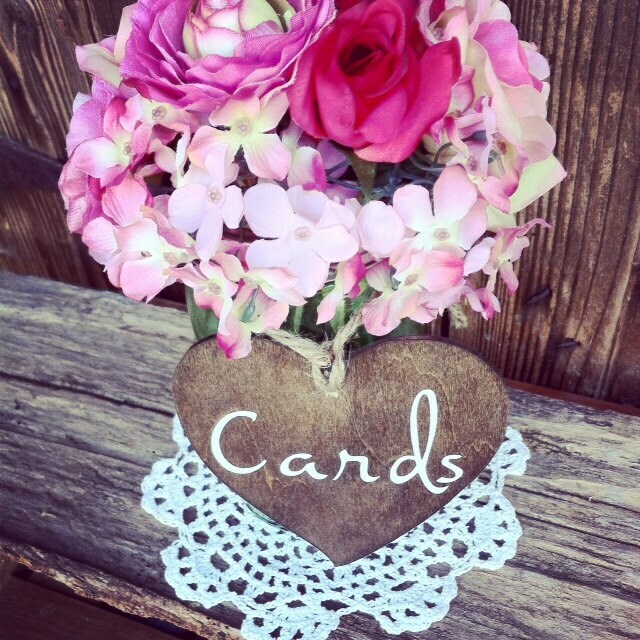 Love this cute little card sign. It will look great for the wedding. Received very quickly as promised, very cute. Thank you! 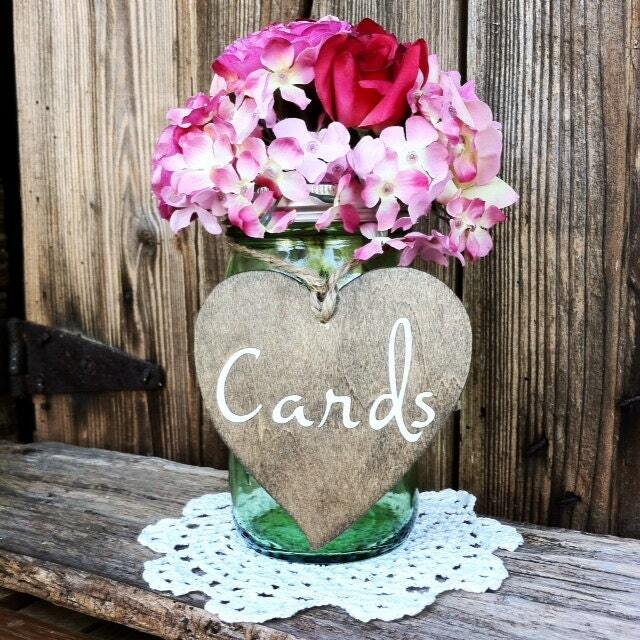 The wood heart add the finishing touch to my bird cage for a bridal shower! Great shop to work with! Great communication and fast shipping . They were able to make the heart without the hole per my request. Thanks again! Bigger than I expected. Looks great! I love Down in the Boondocks! 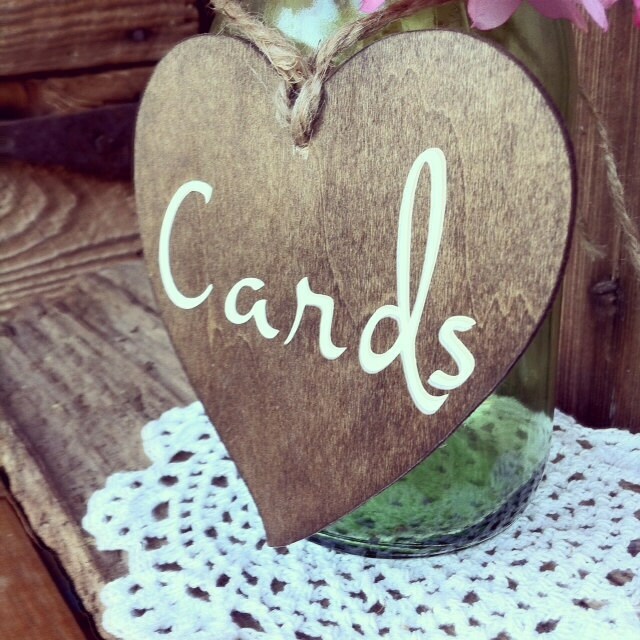 We have found multiple little touches to compliment our laid back and rustic style that is going into our wedding this spring. Everything is very timely and well made! This sign is a little darker than some of the other things that we ordered and it's perfect for what we were looking for!